STI started by solving one common problem: how to prevent false fire alarms in schools. Since then, STI has developed solutions to many common safety and security issues. See which STI products can help you solve your common problems below. False fire alarms? Missing extinguishers? If any life safety products are being misused, STI has the proven solution. 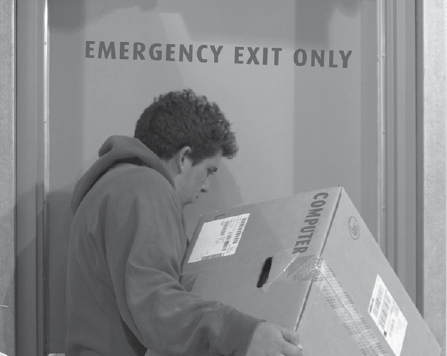 Equipment theft due to unauthorised exit/entries through fire exit doors? STI's door alarms can help with this problem. Whether intentional or accidental, STI helps protect equipment in gymnasiums, hallways, entryways and other high traffic areas. Looking for an alarm system but don’t want a complicated wiring job? STI provides a solution with the Wireless Alert Series. Equipment exposed to extreme temperatures can take its toll. 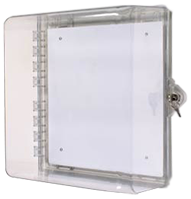 STI's temperature controlled enclosures will help protect devices in these conditions. STI offers a variety of product solutions. Suffering from false alarms, theft or vandalism? We invite you to call us with the challenge of solving these issues. Our first product came directly at the request of a customer, Garnett Hegeman: a high school principal in Detroit, Michigan who had a problem with false fire alarms. Most new products are a direct result of these types of requests. If you have a false fire alarm, theft, vandalism or other problem, we invite you to contact us with the challenge of solving it for you.